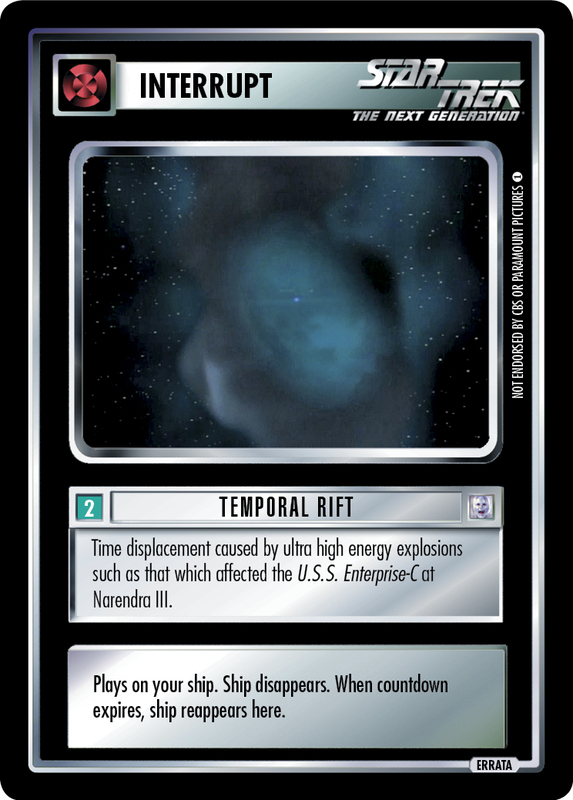 Time displacement caused by ultra high energy explosions such as that which affected the U.S.S. Enterprise-C at Narendra III. Plays on your ship. Ship disappears. When countdown expires, ship reappears here.